Peter was called to the Bar by Lincoln’s Inn in 2012 and became a tenant at 30 Park Place in 2015 following successful completion of pupillage under the supervision of Tracey Lloyd-Nesling (Crime) and Max Davies (Family). During his pupillage, Peter gained valuable and in depth experience across all Chambers’ practice areas and spent considerable time with other members of Chambers. He now regularly appears in the County, Family, Magistrates’ and Crown Courts (both prosecuting and defending); and in the Immigration Tribunal. Peter has particular interest in criminal law, regulatory matters and civil litigation and has quickly gained appreciation for his diligence, dedication and judgment. His determination, thorough preparation and commitment to his cases has been recognised by those instructing him and he seeks to provide an approachable and professional style, tackling issues head on and dealing with difficulties as they arise. Peter is developing a mixed practice covering all Chambers’ practice areas. Peter was educated in Cardiff and Halesowen in the West Midlands before returning to study Law at Cardiff University. He remained in Cardiff for the Bar Professional Training Course where he obtained the highest grade of ‘Outstanding’ and received a number of awards for his performance. 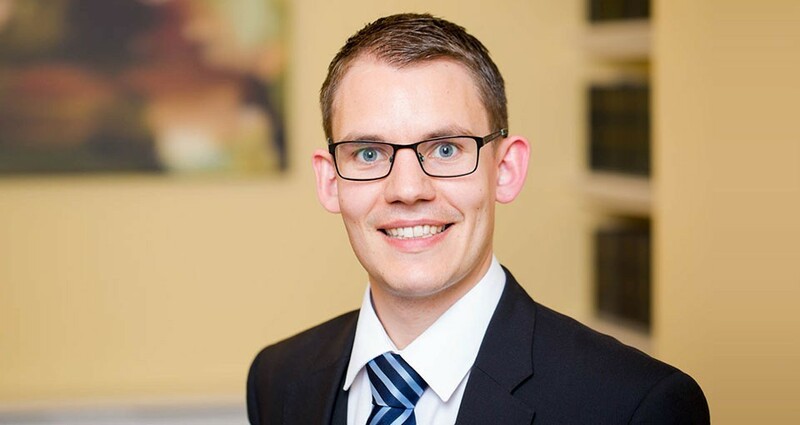 Prior to starting pupillage Peter obtained a distinction in the LLM in Legal Practice and worked at Hugh James Solicitors in the Nursing Care Department, gaining valuable experience assisting and speaking for clients at NHS Review Panels. Peter then went on to work for the international development charity Christian Aid as the Wales Regional and Legacies Coordinator, doing advocacy and speaking at numerous campaigning and fundraising events. Outside of work Peter enjoys music, playing hockey and attending his Church. He is also a committed Welsh language learner. Peter accepts instructions to draft and advise in addition to representing clients in a wide range of chancery and commercial matters in the County Court and High Court including those relating to wills and probate, unpaid contracts, unpaid solicitors fees, breach of contract, unfair contract terms, building and construction disputes and recruitment referral fees. He is developing a successful practice in contractual disputes and has represented clients at CCMC, small claims, fast track and multi track trials in respect of such matters. Peter also represents clients at mediation in attempt to resolve matters out of court. He is regularly instructed in a broad range of civil applications including those for relief from third party debt orders and hardship payments, disclosure applications, applications to set aside, charging orders and monetary applications. Peter regularly represents defendants at all stages of the criminal court process and has developed considerable experience in this area since he became a tenant in Chambers. Peter has represented Prosecution and Defence in a wide range of trials including S18 Wounding, Possession with Intent to Supply Class A Drugs, Dangerous Driving, Robbery, Burglary and Fraud. Having studied and written about the law of evidence for his Masters Degree in Legal Practice, Peter brings a great interest in and knowledge of, the law of evidence to his cases to the benefit of his clients. As a pupil he also gave administrative assistance to the prosecution for Operation Dino providing a valuable insight into high profile and complex criminal trials. In addition to prosecuting and defending in the Crown Court and Magistrates’ Court, he is regularly instructed in the County Court in relation to anti-social behaviour orders and injunctions, matters for and against the police, licensing reviews and other regulatory matters. Peter is an approved Level 2 Crown Prosecution Service Advocate Panel advocate. Peter is rapidly developing a successful practice representing both claimants and defendants in all areas of personal injury and clinical negligence including road traffic accidents, employers liability, occupiers’ liability, slips and trips, deafness claims and credit hire. He accepts instructions to draft and advise on liability and quantum, pleadings and wider issues including on a Conditional Fee Agreement basis and has been instructed in small claims, fast track and multi track trials. In the summer of 2016 he completed a secondment with NHS Legal and Risk gaining further experience in personal injury and clinical negligence matters. In addition to prosecuting and defending in the Crown Court and Magistrates’ Court, Peter is regularly instructed in the County Court in relation to anti-social behaviour orders and injunctions, closure orders and criminal behaviour orders including matters for and against the police and housing associations. Peter is pleased to accept instructions for regulatory matters, inquiries and inquests. Peter was instructed to appear as Junior Counsel for the Williams family in one of the most significant Inquests in Wales in 2017, that being the four week Inquests touching the deaths of Cerys Yemm and Matthew Williams. During this time Peter developed significant experience in disclosure. He both prosecutes and defends in matters on behalf of individuals, organisations, local authorities and regulatory agencies and he regularly appears on behalf of clients at tribunals, licensing reviews, trials other regulatory hearings. As part of this work he has experience in regulatory matters including fraud, veterinary medicines, alcohol licencing, food hygiene and environmental safety, companies house prosecutions and education matters such as school non attendance. In the summer of 2016 he completed a secondment with NHS Legal and Risk as part following which he has received multiple instructions to act for parties at inquests. The Lord Williams of Mostyn Achievement Award presented by The Wales and Chester Circuit for the Best Performance in Professional Ethics 2011/12. The Tom Glanville Jones Prize presented by Angel Chambers for the Best Performance in Criminal Practice 2011/12. Hardwicke Entrance Award presented by the Honourable Society of Lincoln’s Inn.